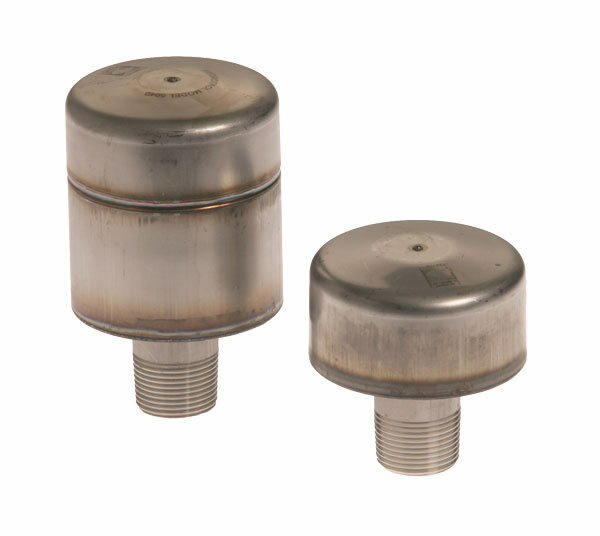 5005 - 5050 Water Hammer Arresters - Jay R. Smith MFG Co. Engineered water hammer arresters employ a permanently sealed cushion of air or gas which absorbs the energy of water hammer and reduces pressure rise in the piping system to a safe level. Hydrotrol units correctly sized and placed at specific locations in the water piping system, will control the destructive shock of water hammer. Smith No. 5000 series all stainless steel “Hydrotrols” on both cold and hot water line. Install in an upright position at all quick closing valves, solenoids and plumbing fixtures. Locate and size as indicated on drawings. Where not shown on drawings, locate and size in accordance with Plumbing & Drainage Institute Standard No. WH201.